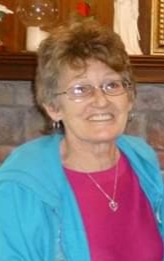 Debi Johnson, 64, of Kensett, formerly of Moyock, North Carolina, passed away April 10, 2019 at her residence. She was born December 25, 1954 at Plumfield, Illinois to the late Kenneth and Vivian Wallace Wilson. Debi was a loving, kind individual. She had a big heart and was loved by everyone. In addition to her parents, she was preceded in death by a brother, Dean Wilson. She leaves a daughter, Amy Treat (Jeff) of Chesapeake, Virginia; two grandchildren, Alison Keement and JW Treat also of Chesapeake; sister, Donna Lundquist (Paul) of Searcy; and brother, Donald Wilson (Cheryl) of Arizona.